The Newcastle and Carlisle Railway, some 97 km (60 miles) long, was built in the 1830s to link Newcastle upon Tyne and Carlisle. The formal opening took place on 18 June 1838. The first proposal, by Ralph Dodd in 1794, was for a broad canal to Hexham on the south bank of the Tyne. This would be the first section of "an inland navigation from the east to the west sea". In the following year, William Chapman surveyed an alternative route high above the north side of the river, after which followed two years of arguments over the different routes. In 1797 a Bill based on Chapman's plans reached the Committee stage in the House of Commons before being withdrawn due to the strength of the opposition. 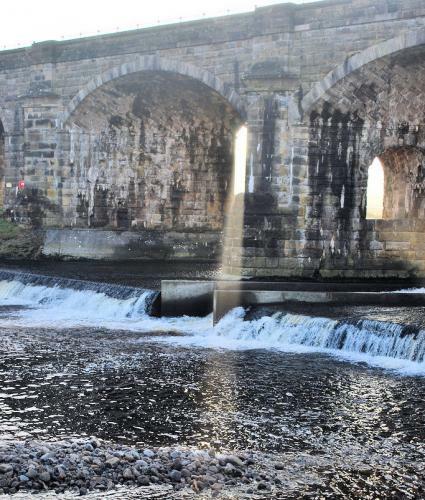 The Napoleonic Wars delayed further progress from Newcastle, and the people of Carlisle decided to build a short canal connecting their city with the Solway Firth, which opened on 12th March 1823. In the following year, Chapman was asked to report on the cost and separate advantages of a Ship Canal and of a Railway from Newcastle to Carlisle; he estimated that even a minimal ship canal would cost at least three times as much as a railway which could carry the same traffic. Josias Jessop confirmed the overall advantages of a railway in a report dated 4th March 1825, and a prospectus for the Newcastle & Carlisle Railway was issued only 24 days later, followed by a meeting of shareholders in Newcastle on 9th April. After various delays, notice of application for the Newcastle & Carlisle Railway Bill was made on 4th November 1828 and, after a stormy passage through the House of Commons, it received the Royal Assent on 22nd May 1829. The N.&.C.R. were clearly visionary - the Rainhill Trials had not yet taken place, and its 97 kn (60 miles) made it the longest railway authorised at that date. With their main line completed and prospering, the N.&.C.R. 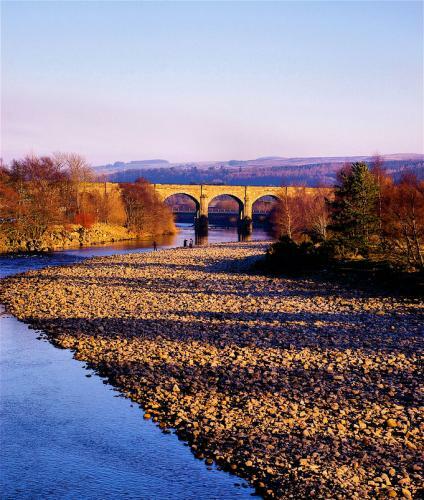 directors decided to apply to parliament for powers to build branches up the valleys of both the North and South Tyne Rivers, but the Act of 26th August 1846 only authorised a line from Haltwhistle to Nenthead. No work was done until a second Act was obtained which allowed the heavily graded extension from Alston to Nenthead to be abandoned. Construction then proceeded rapidly and the line was brought into use in sections from 1851, with the entire branch being opened on 17th November 1852. 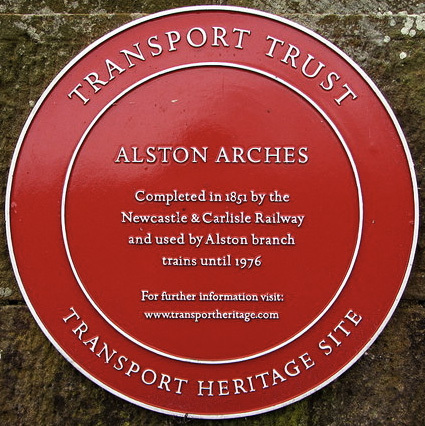 The Alston branch was the final extension of the Newcastle & Carlisle Railway, as, after two unsuccessful attempts, on 17th July 1862 an Act was, obtained to authorise amalgamation with the North Eastern Railway. The Alston branch covered 27 km (17 miles) from the town of Haltwhistle, providing both passenger services and, in the early days, carried lead from mines in the upper South Tyne Valley. It included the monumental Lambley Viaduct and was the last of the branch lines to close in 1976. Part of the Alston end has been turned into a narrow gauge heritage railway, the South Tynedale Railway. 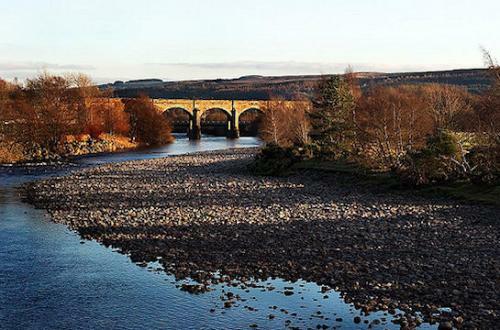 The viaduct over the River South Tyne, known as the Alston Arches, is a six arch structure, with the water spanned by four wide segmental skew arches. The line started to climb at the viaduct on a gradient of 1:100. To gain height to bypass the initial constrictions in the valley, the line left the town in an arc. 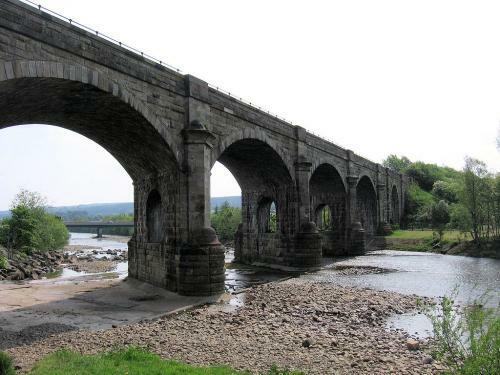 The viaduct is approached from the junction near Haltwhistle station by a high embankment, which lifts the track-bed off the flood plain of the River South Tyne. To the south of the viaduct this embankment was breached in 1996 by the new A69 Haltwhistle by-pass. In spite of being only a single track railway, the viaduct appears quite massive. The river piers have cutwaters upsteam and downstream. 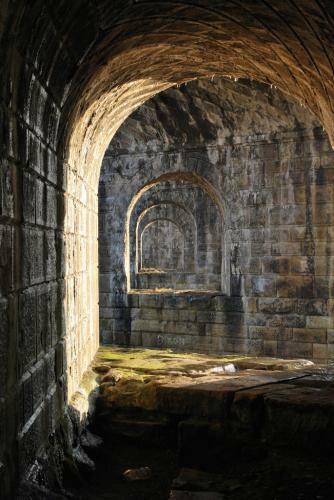 An unusual feature is the line of openings through the piers, which have been said to be intended to take a footbridge. There are no indications that a footbridge was ever provided and there are no fixing holes or bolts and curiously there is no opening through the right bank pier. It is therefore more likely that the openings are to reduce the weight of the piers and loading on the foundations, which are supported on timber piles. They have the aesthetic merit of lightening the structure. 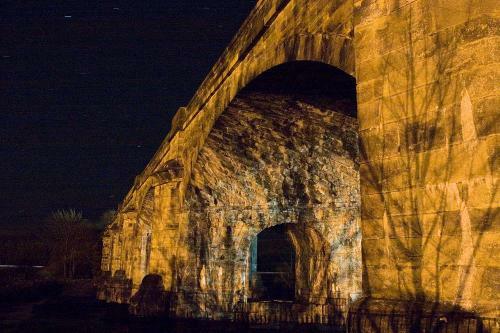 The viaduct is a Grade II Listed Building and is now owned by the North Pennine Heritage Trust. By road: Off A69. Best seen from Plenmeller Road, a turning towards Haltwhislte.